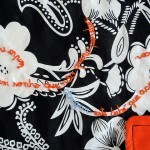 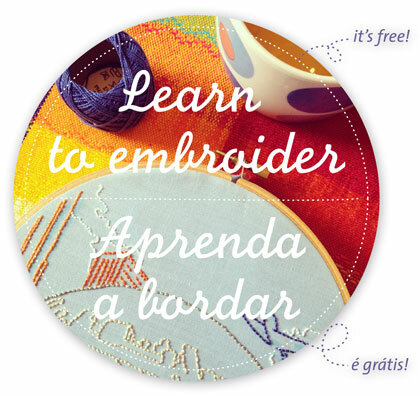 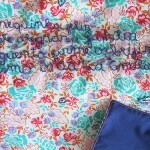 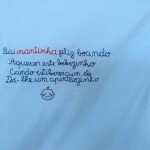 This time around, “Tenho da minha alma um sonho” was embroidered on typical Kuna patterned cotton. 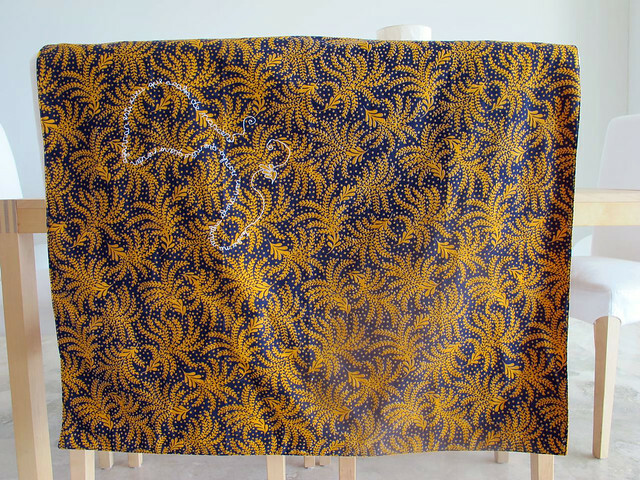 The back is in plain orange cotton, also used by the Kuna to compose their wonderful molas. 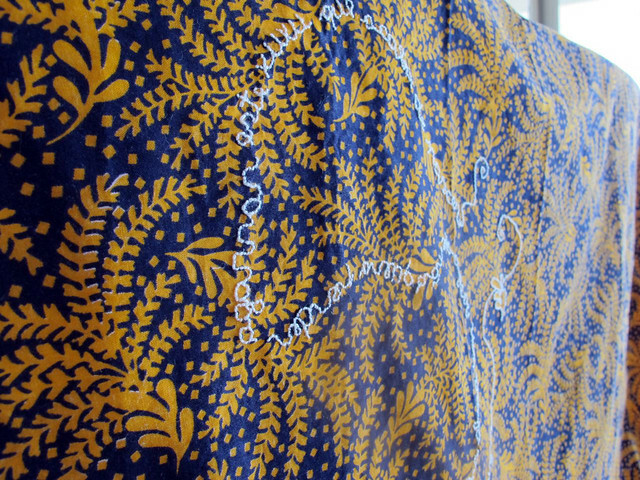 Batting was made with cotton flannel. 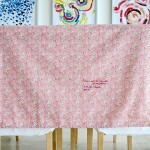 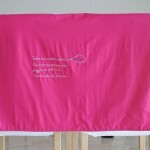 Its dimensions are 86cm x 79cm (33.86in x 31.1in) and it is machine washable in a delicate cycle. 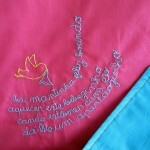 It´s for sale at abbrigate*´s shop.